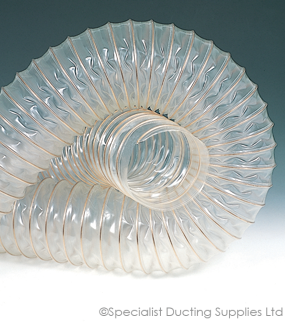 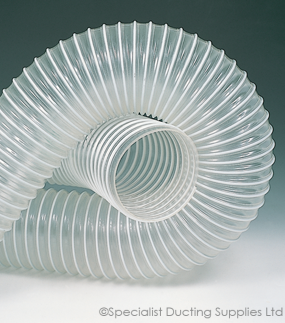 Polyether-Polyurethane wall encapsulating a spring steel wire helix. 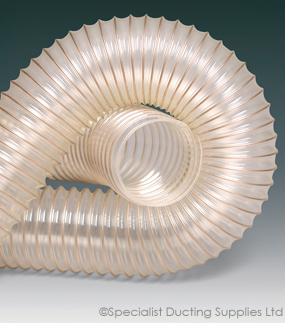 Excellent flexibility, good abrasion resistance and compressibility with excellent resistance to oil and petrol fumes. 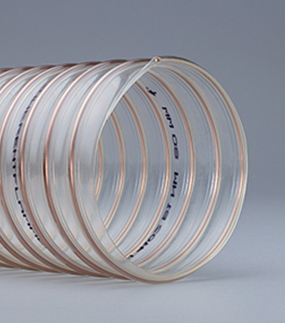 Resistant to hydrolysis and microbes, non-toxic, food proved according to FDA and EU regulations.